The build quality of the 850D is similar to the 850C with the exception of the 850D’s use of plastic for the stand and frame, giving it a cheaper feel. The 850D has a much thinner panel design measuring under a 1/2″ at its slimmest point, which gives it a more aesthetically pleasing appearance. As a side note, the TV can be wall mounted, but the mounting bracket is not included and is sold separately. 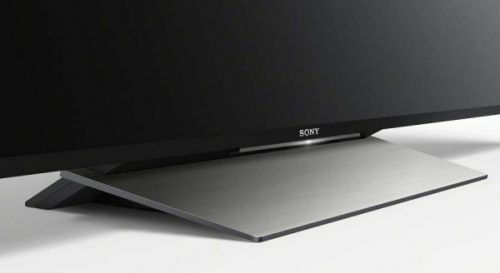 Sony has a new stand concept for its 2016 XBR models that Sony calls a Silver Slate design. Even though this stand is made of plastic, it’s still aesthetically appealing and compliments the display panel. The stand also incorporates a built-in recessed cable routing system to conceal all cables behind a rear cover. The screen has a glossy finish and is illuminated with edge-lit LEDs. However, there is no local dimming feature for the display’s LEDs, thus reducing the TVs peak brightness highlights and black level performance, especially with HDR content. HDR (High Dynamic Range) is the premier feature of the X850D and is designed to deliver increased contrast with a greater range of peak brightness (highlights) and black levels, in addition to a wider color gamut for a rich and vibrant color spectrum, as well as better picture detail. Picture processing as with all XBR models is handled by Sony’s very powerful and excellent 4K X1 processing engine which incorporates the 4K X-Reality Pro Upscaler, in addition to the displays TRILUMINOS color technology. Just in case you’re interested, the 850D does not have 3D capability. Color – The accuracy, tonal balance and shading of colors was very good on this display. For example, when viewing scenes from my 4K demo footage from the movie Exodus: Gods and Kings, close up shots of a woman’s face was rendered with very accurate flesh tones and appeared very natural with no color imbalance. Colors were also well saturated with ample amounts of vibrancy and richness. Detail and Clarity – While viewing the same images mentioned above, I was impressed with the amount of detail and clarity presented on this display. The jewelry and apparel that was worn by the woman was rendered with great transparency, and allowed me to see all of fine detail the image had to offer. 4K upscaling of 1080p content on this TV was very good, and was what I’ve come to expect from Sony’s XBR series that uses their powerful X1 video processor. For example, while viewing scenes from Star Wars – The Force Awakens, the upscaled images took on a 4K like appearance delivering excellent detail, sharpness and image depth. Side Viewing Angles – Since the XBR850D uses an IPS display panel design, contrast and color saturation loss was almost imperceptible when viewing the screen at very wide angles. IPS panels are known for their excellent off-axis viewing performance. HDR Performance – I haven’t seen a lot of HDR content since its availability has been limited, but is now just starting to become readily available (although titles are still very limited) to consumers via video streaming services and 4K HDR blu-ray disc. So with that said, I don’t have much in the way of viewing experience to compare with the 850D. However, I recently did a review of Sony’s XBR930D that does support HDR, and during that time I was able to check out its HDR performance. So by comparison, the 930D’s HDR images were better in my opinion and experience. I believe these differences were due to the IPS panel used on the 850D, which limits contrast and black levels. However, actual HDR images weren’t bad on the 850D; image brightness was still decent but lacked some of the picture illumination and bright highlight information I saw on the 930D. See the XBR65X930D review to learn more about HDR picture quality. Motion blur performance was very good on this set while viewing my 4K video demo footage of a European basketball game. The fast action on the court of players running and the high speed motion of the ball showed no obvious signs of motion blur. Screen Uniformity – In a dimly lit room (not completely dark) I did not detect any clouding or light bleed from the TV screen. However, images of an almost completely black screen allowed me to see its black level deficiencies, which appeared grayish instead of deep black. This effect, however, will not be as visible in a brightly lit room. The X850D will delight video gamers due to its good input lag performance which is about 34.0 ms when the TV is set to the “Game” picture mode. As I mentioned earlier, the 850D does have a few picture quality flaws. One of these flaws I’ve already mentioned above regarding its HDR performance, which could be a bit better, yet still delivers a decent HDR viewing experience. The 850D’s much more obvious issues are its lack of contrast and deep black levels. And as stated earlier, this is due to the use of an IPS display panel which restricts contrast and the ability of the TV to render deep blacks in comparison to an LED TV that uses a VA type panel. The 850C uses a VA panel and has much better contrast and black levels. 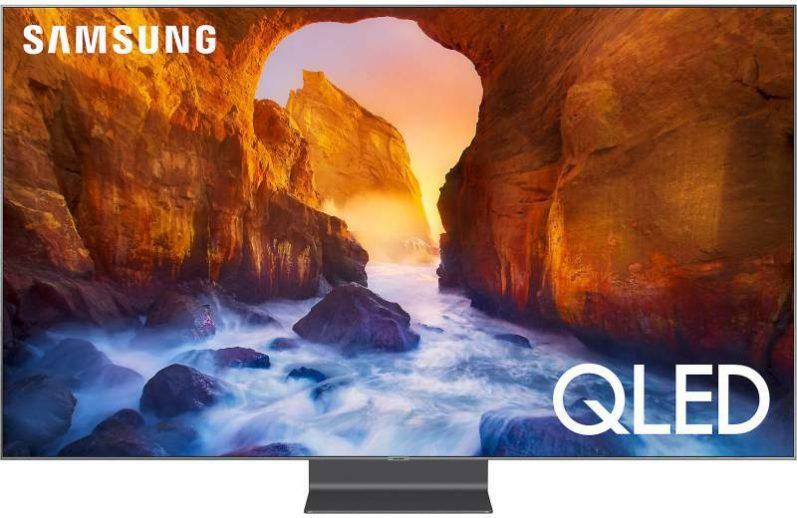 If you’re in the market for a new 4K Ultra HD TV with or without HDR capability, impressive color, detail and clarity, a solid smart TV platform for video streaming and very good wide angle viewing performance, then you may want to take a good look at the XBR850D. However, if you a have strong desire for deep black levels and great contrast, you may not be completely satisfied with this TV, but for what its worth, I’ve seen IPS panels from other manufacturers that don’t do as well with contrast and black levels as does the 850D. • With stand: 52.69 lbs. • Without stand: 44.75 lbs. 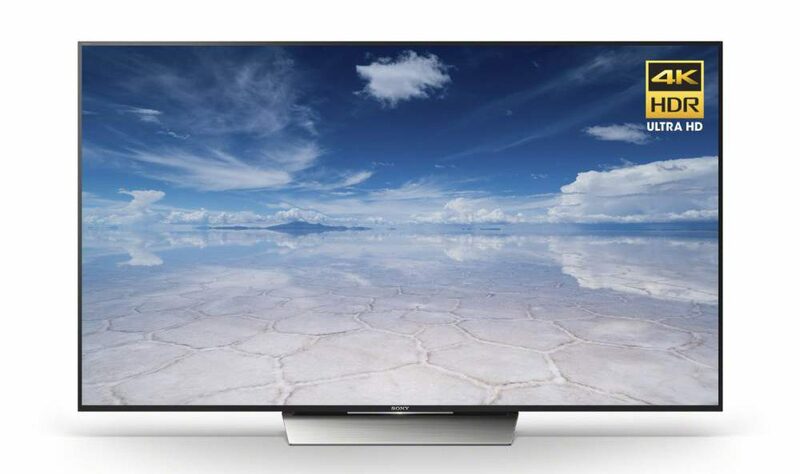 You may also be interested in Sony’s entry level XBR 4K Ultra HD TVs. Click here to learn more. Thanks for the review. Can you tell me how significant of an improvement this TV is over the XBR65X810C? I bought this TV on clearance last week. Love the android TV, but coming from a plasma I am extremely disappointed with the black levels. I understand your concerns regarding the black levels on the XBR850D since I still own a plasma TV. And yes, most LED TVs can’t achieve the black levels of the best plasma designs of the recent past. However, I still think the black levels on many recent LED TV’s do range from decent to very good depending on the brand and particular model. As far as how the 850D compares to the 810C? In my opinion and experience with these displays, I think the 850D renders a more refined picture image with slightly better detail and clarity. Color reproduction is also better on the 850D. But when it comes down to deep black levels, both the 810C (65″model only) and 850D are lacking in this area of performance due to the fact that these models use an IPS panel, which are known for there inadequate black level and contrast capabilities when compared to VA type panels. Thanks for the excellent review. My budget is $1800. I’m torn between the 850d (65″) and the 930D (55″). Both are about $1799. Presently I have a 52″ and it works well in our small family room. Most seating is in the 7-8 ft. range with a recliner about 10 ft. away from the screen. Would I be better served with the 850D or the 930D. We watch sports but are movie fans who watch them in a darkened room. I know the contrast and blacks are much better on the 930D but will the size difference be a show-stopper? My motto and advice has always been to get the biggest screen you can afford in accordance to the size of your viewing environment and how far you will be sitting from the TV. A larger screen will maximize the enjoyment of your viewing experience. With that said, your seating arrangements will work well with a 55″ or 65″screen size. So in your situation, the size difference shouldn’t be a show-stopper. Although, a 65″ screen might be a bit overwhelming for some viewers sitting at the 7 ft. range. And as you probably know, the better contrast and black levels will certainly be an advantage with the 930D when viewing in darkened room. For me personally in regards to your setup and choices, I would go with the 930D simply for the better picture quality. Thanks for the reply. As fate would have it, the price of the 65″ 930D dropped $300 yesterday. Although the price was still higher than I planned on spending, it was close enough to bite the bullet and go with the larger screen and the best picture! One thing I’ve never heard is someone saying I wish I’d bought a TV with a smaller screen. Thanks again for the advice. I appreciate your time. No problem Mike, glad I could help. Thanks for the review! I have a few questions and am really struggling with a few things that are keeping me from purchasing a 4kTV. -I am equally interested in a TV that will work for Sports as I am for movies. The 65in options im only considering because I’ve heard conflicting information on whether or not I will be able to enjoy benefits of 4k since I sit 9 feet away if I go 55inches. The debate with me is that Im confused since there are some core differences between the TVs. The Vizio seems to have problems upscaling images from lower resolution but I haven’t been able to confirm if that includes a problem with upscaling 1080 content? I know Sony is essentially the gold standard when it comes to upscaling. HAving said that will there be a noticeable difference upscaling 1080 between Vizio’s p series and Sonys 850/930d series or is the difference soley noticeable with 720p and below? The other hang up I have is with the lack of Dolby Vision support on Sony and Samsung. Is this a big deal? Will there be a external 4k device that will allow viewing Dolby Vision possible? Should I go with Vizio since it supports both formats or is this not important enough to drop the quality of Sony’s 930d in favor of the dolby support for Vizio? BestBuy’s salesmen seem 100% inline with Sony. They rave over it to the point I am concerned they are coached to say so. Lastly is their a difference in HDR content in Vizio P series vs Sony 930D vs Samsung KS8000? What would you say to do here? Should I go with a larger 65in with Sony’s 850d/Samsung’s KS8000 or Should I go with a Smaller higher end Vizio P55-c1/Sony’s 55in 930d? 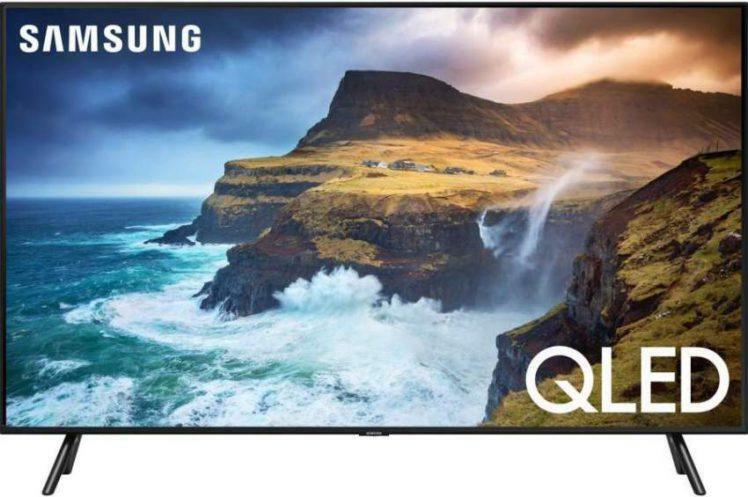 In a dimly lit room, the Samsung KS8000, Sony 930D and Vizio P65-C1 will look great due to their good-to-very good contrast and black level performance. However, the Sony 850D’s picture image will not look as good in a dark room since its contrast and black levels aren’t as great when compared to the other models due to its use of an IPS display panel. About your 9 foot seating distance and how it relates to viewing 4K content on a 55″ or 65″ screen – at that distance, your will probably not see or notice the benefits of 4K content, since you must sit about 3.5 to 4 feet away from a 55″ screen, and about 4 to 5 feet away from a 65″ screen to see the full benefits of the resolution increase. So in your setup screen size isn’t a factor. All of the models you listed will work quite well with fast action sports content and will show very little motion blur. Watching movies will also look very good on any of your choices with the exception of the Sony 850D when viewing movies in a dark room, due to the reasons mentioned above. As far as upscaling, and as you already know, Sony comes out on top with their excellent 4K upscaling, followed by Samsung. Vizio’s 4K upscaling isn’t necessarily bad, it just doesn’t perform as well as the Sony and Samsung TVs. The Vizio’s upscaled image can appear a bit soft with a loss of some picture detail. This image quality loss is most notable on upscaled standard def content such as 480p and 480i sources. 720p and 1080p sources are less affected. For me personally, I wouldn’t be too concerned at this time with the lack of Dolby Vision support on the Sony and Samsung models, since most HDR content is in the HDR10 format. At this time, it’s too soon for me to say which TV brand(s) have the best HDR performance since HDR is still in its infancy, and has much room for improvement. But I will say of the hand full of TVs I’ve evaluated HDR performance on, and of the models you’ve listed here, I enjoyed the Sony 930D the most. Hope this info helps you choose which one of these TVs is best for you. With that said, my personal choice in your selection would be either the Sony 930D or Samsung KS8000. I just want to clarify what you mean by “program”. Are you asking about picture mode settings? If so, I’ve listed basic picture settings for the 850D in the “Summary” section of the review that you can apply to your TV. You can also have your TV professionally calibrated for the best possible picture image. Needing professional advice on purchasing a new 65-75 inch TV. First, I own an RCA 45″ flat screen and am just blown away at how good the picture is! I am certain that anything in the 65″-75″ is going to be an upgrade to me. I am purchasing a very nice townhouse with a lot of natural light on the main living floor with both glass doors and large windows. I am a sports fanatic and also love movies. If I do not want to spend more than $2,000.00, please give me your personal choice and top reasons why! 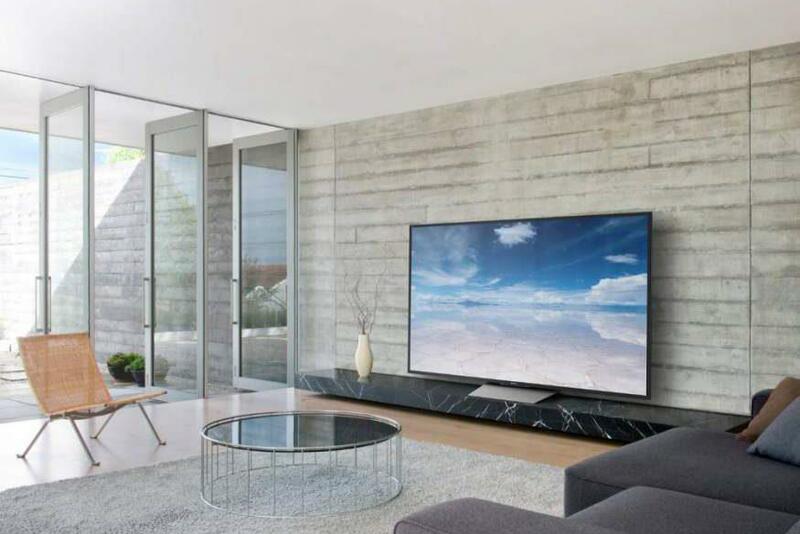 Considering the most recent TVs I’ve reviewed and sticking to your search criteria, there are several good choices that would suit your upcoming townhome setup (environment). However, my personal choice that falls within your requirements would be the 65″ Samsung KS8000. This TV is an all-around very good performer with excellent picture quality. It produces a very bright picture which will be great for your brightly lit room. And since you enjoy watching sports, the KS8000 will also be a good choice since it has good motion control capability. Furthermore, it falls well within your budget. Other reasons that make it a good choice are its excellent color rendering and very good contrast and black level performance, which will enhance your movie watching experience, especially during nighttime viewing. It also does a decent job at displaying HDR content. Hope this info helps with your decision making process. I am torn between the Sony 850D and LG UH8500 in the 65″version. Just curious which TV you prefer. Honestly, I could go either way on these two particular models; they are offer virtually equal performance in my experience and opinion. However, in the class of HDTVs, I would typically go with Sony due to their better contrast and black level capabilities since Sony usually uses VA panels on their TVs, while LG typically uses IPS panels on their TVs, which tend to suffer from a lack deep black levels and contrast range. However, both of these displays use IPS panels, thus leading to my decision to go with either model. Thank you for the article. I am deciding between samsung un70ku630D and sony XBR850D. what would you prefer and why? big screen of un70ku is interesting but picture quality of sony seems to be better than samsung un70ku630d model. Both of these TVs deliver good picture quality, but for me choosing one or the other, I would have to consider the type of viewing environment I would be watching in. Let me explain… the Sony XBR850D would be a better choice for me if I was going to have seating that was positioned at wide angles from the screen since this TV would have better picture quality when viewed from wide angles due to its IPS panel. Now, on the other hand, if I was going to be doing a lot of TV viewing in a dark environment, I would certainly prefer the Samsung KU630D since it provides better contrast and black levels. IPS panels (like the one used on the 850D) deliver insufficient contrast and black levels when compared to TVs that use VA panels such as the one used on the KU630D. However, the 850D’s IPS panel limitations are much less of an issue when viewing the TV in a moderate or well lit viewing area. Furthermore, the 850D gets the nod where color performance is concerned. It also has better 4K upscaling and motion artifacts control. With that said, if not for the XBR850D’s contrast and black level limitations, I would definitely choose that model. On the other hand, I would have to consider the KU630D for its better black level performance, since I like to do a lot of TV viewing in a dark room. In the end… this would be a difficult choice for me. But if I was forced to choose, I would go with the KU630D because I just wouldn’t be able to give up the better contrast and black levels this TV provides. I assume you were referring the XBR65X850D. Personally I would go with the Samsung KS8000 simply because it uses a VA panel vs. the XBR850D’s IPS panel. IPS panels suffer from contrast loss which in turn hurts black levels which will be very apparent when viewing the 850D in a dark room while viewing scenes with black or very dark content. However, the 850D’s contrast and black level deficiencies will be less noticeable in a bright room. Hi Milton. Really enjoy your reviews and appreciate your expertise. I’m looking to replace a 7 year old Samsung 63″ plasma that just doesn’t do it for me anymore from a brightness perspective. 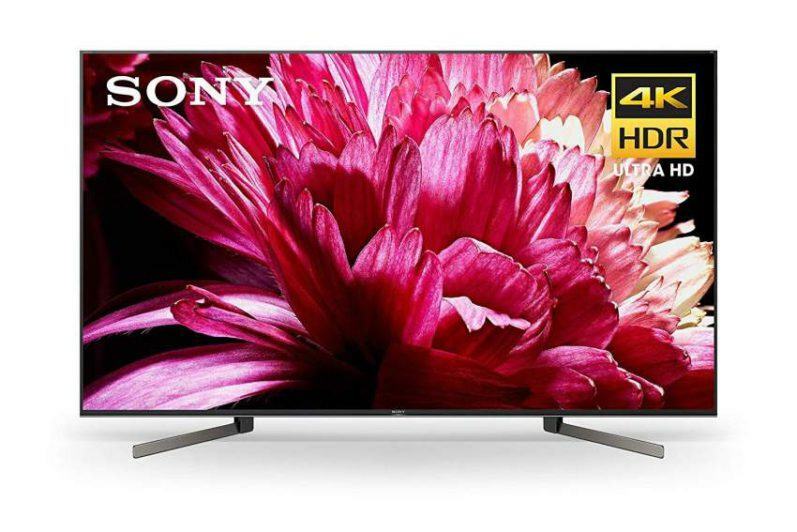 With the Sony 75″ 850D now being clearance priced to $2299-2499, I think this TV is an outstanding value. My viewing distance is app 13′ so this size display shouldn’t be an issue. I would have loved a slightly smaller 70″ TV but choices are basically Vizio and Vizio. I could save a bunch of $$’s on a 70″ M series but I’ve read a lot of bad things about the Tablet casting and the overall brightness of the Vizio. I love our Sony 55″ 850D so still leaning to Sony. Any expert opinions? Keep up the good work! Glad you enjoy the reviews and thanks for the complements. The Sony 850D will make a good choice if you don’t mind the fact that it uses an IPS panel which means its contrast and black level performance will be restricted. This is very important (IMO) if you will be viewing this TV in a dark viewing environment, which would leave dark content appearing somewhat gray and not the deep blacks that a non-IPS panel would produce. For this reason only, the 75″ Vizio P Series P75-C1 would make a better choice where black levels are concerned, and it has very good overall picture quality too. It is however, more expensive at around $3,300. Also, Vizio’s P series TVs have much better brightness output than the M series. I’d also like to point out that if you will be primarily watching the 850D in a daytime viewing setup, then its contrast and black level deficiencies will be much less visible and not a major issue. In general, I usually prefer the overall picture quality of Sony TVs when compared to Vizio. But in this instance, I would have to go with the Vizio, or continue my search for another TV.